Unlock productivity is one of the bigger concerns for any person taking management role. However, people rarely agree on the best approaches to improve performance. Over the years, I have observed different managers using the opposite practices to churn out best performance of the team they are managing. Unfortunately, some works and other don't. To be more accurate, what does not increase performance, actually reduce performance. In this article, I would like to review what I have seen and learnt over the years and share personal view on the best approaches to unlock productivity. What factors define teams performance? Let start with analysing what compose a team. Obviously, a team is composed from team members, each has own expertise, strength and weakness. 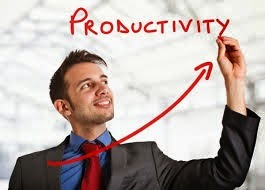 However, the total productivity of the team is not necessarily the total sum of individual productivity. Other factors like team work, process and environment also have major impact to total performance, which can be both positive or negative. To sum up, the 3 major factors discussed in this article will be technical skills, working process and culture. In a factory, we can count the total productivity as sum of individual productivity of each worker, but this simplicity does not apply to IT field. The differences lie in natural of work. Programming until today is still an innovative work, which cannot be automated. In IT industry, nothing is more valuable than innovation and vision. That explains why Japan may be well known for producing high quality car but US is much more famous for producing well known IT company. Contradict to factory environment, in a software team, developers does not necessarily do or good at the same things. Even if they have graduated from the same school, taking the same job, personal preference and the self studying quickly make developer's skills different again. For the sake of increasing total productivity, this may be a good thing. There is no use for all of member to be competent on the same kind of tasks. As it is too difficult to good at everything, life will be much easier if members of the team can compensate for each other weakness. This is not easy to improve on technical skills of the team as it take many years for a developer to build up his/her skill set. The fastest way to pump up the team skill sets is to recruit new talent that offer what the team is lack of. That why the popular practice in the industry is to let the team recruit new member themselves. Because of this, the team, which is slowly built over the years normally normally offers a more balance skills set. While recruitment is a quick and short term solution, the long term solution is to keep the team up to date with latest trends of technology. In this field, if you do not go forward, you go backward. There is no skill set that can be useful forever. One of my colleague even emphasize that upgrading developers's skills is beneficial to the company in the long run. Even if we do not count inflation, it is quite common that the company will offer pay rise after each annual review to retain staffs. If the staff do not acquire new skills, effectively, the company is paying higher price every year for a depreciating asset. It may be a good suggestion for the company to use monetary prize like KPI to motivate self-study and upgrading. There are a lot of training courses in the industry but it is not necessarily the best method for upgrading skills. Personally, I feel most of the coursework offer more branding value than real life usage. If a developer is keen to learn, there should be quite sufficient knowledge on internet to pick up anything. Therefore, unless for commercial API or product, spending money on monetary prize should be more worthy than on training course. Another well-known challenge for self-studying is the human natural laziness. There is nothing surprise about it. However, the best way to fight laziness is to find fun in learning new things. This only can be achieved if developers take programming as his hobby more than professional. Even not, it is quite reasonable that one should re-invest effort on his bread and butter tool. One of my friend even argue that if singer/musician take own responsibility in training, programmer should do the same. Sometimes, we may feel lost due to the huge amount of technologies exposed to us every year. I myself feel that too. My approach for self studying is adding a delay in absorbing concepts and ideas. I try to understand but do not invest too much until the new concepts and ideas are reasonable accepted by the market. Working process can contribute greatly to team performance, positively or negatively. Great developer write great code but he will not be able to do so if wastes to much effort on something not essential. Obviously, when the process is wrong, developers may feel uncomfortable about their daily life. Unhappy developer may not perform his best. There is no clear guideline to judge if the working process is well defined but people in the environment will feel it right a way if something is wrong. However, it is not as easy to get it right as people who have the right to make decision not necessarily the guys who suffer from bad process. We need an environment with effective feedback channels to improve on working process. The common pitfall for working process is the lack of result oriented nature. The process is less effective if it is too reporting oriented, attitude oriented or based on some unreal assumptions. To define the process, it may be good if the executive can decide whether he want to build an innovative company or operation oriented company. The samples for former kind is Google, Facebook, Twitter while the latter may be GM, Ford, Toyota. It is not that operation-oriented company cannot innovate but the process was not built with the first priority for innovation. Therefore, the metric for measuring performance may be slightly different, which causes different results in long term. Not all companies in IT fields are innovative company. One counter example is the outsourcing companies or software house in Asia. To encourage innovation, the working process need to focus on people, minimize hassle, maximize collaboration and sharing. Through my years in the industry with Water Fall, not so Agile and Agile companies, I feel that Agile work quite well for IT fields. It was built based on the right assumptions that software development is innovation work and less predictable compare to other kinds of engineering. When Steve Job passed away in 2011, I bought his authorized biography by Walter Isaacson. The book clearly explains why Sony failed to keep its competitive edge because of inner competition amongst its departments. Microsoft suffer similar problem due to the controversy stack ranking system that enforce inner competition. I think that IT fields is getting more complicated and we need more collaboration than in the past to implement new ideas. It is tough to maintain collaboration when your company grow to become an multi-culture MNC. However, it still can be done if management got the right mindset and continuously communicate their visions to the team. As above, the management need to be clear if they want to build an innovative company as it requires a distinct culture, which is more open, and highly motivated. In silicon valley, office life end up quite late as most of developers are geeks and they love nothing more than coding. However, it is not necessary a good practice as all of us have a family to take care of. It is up to individual to define his/her own work life balance but the requirement is employee fully charged and feel exited whenever he come to office. He must feel that his work is appreciated and he has the support when he need it. Let the team involve in the recruitment. Recruit the person who takes programming as hobby. Monetary prize or other kind of encouragements for self-study, self-upgrading. Save money for company sponsored course unless for commercial products. Make sure that the working process result oriented. Encourage collaboration, eliminate inner competition. Maintain employee work-life balance and motivation. Make sure employee can find support when he need it.